Flower Glass Quilt Pattern by Missouri Star - Missouri Star Quilt Co. - Missouri Star Quilt Co.
Time flies when you're having fun, and this project will make it feel like Spring is coming in no time! 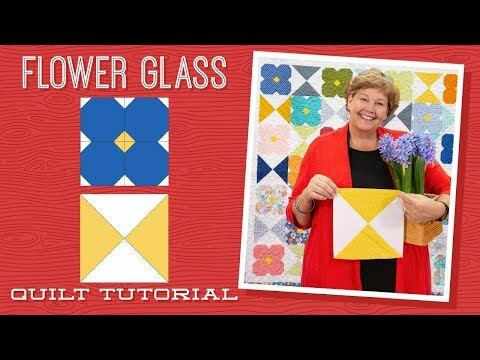 Put together a garden of flowers and hourglass blocks no matter the time of year using 1 package of 10" squares, 2 yards of background fabric, 1/4 yard of complementary fabric, and 1 1/2 yards for the outer border. Finished size: 78" x 78"